Apartment in Recoleta, Buenos Aires - Mia Johnston ! 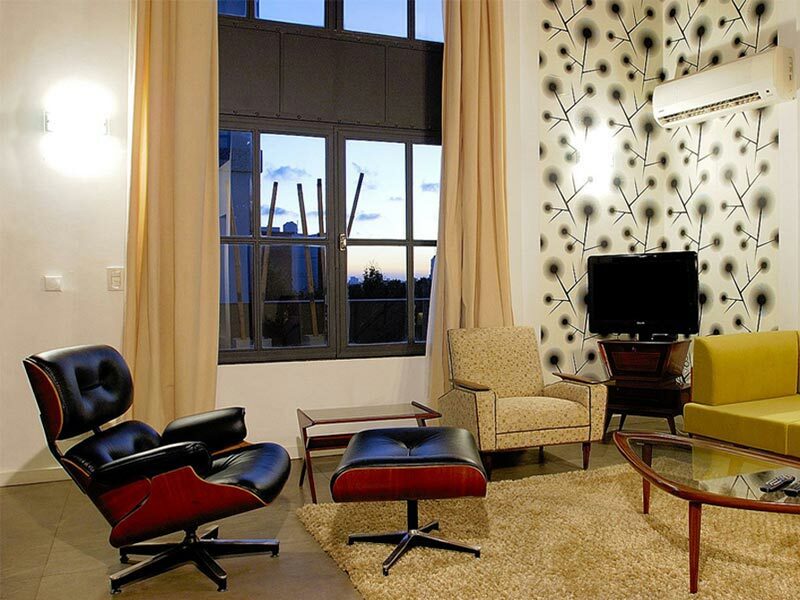 Spacious and contemporary two bedroom, two storey 1300 square feet apartment in central Recoleta. This 120 square meter duplex apartment is located on one of the premier Recoleta streets and literally in the heart of this classic French inspired neighborhood. The apartment is split over two levels, living areas on the ground floor and the two ensuite bedrooms on the first floor, accessed by a quirky ¨floating¨staircase. The ground floor is bright and airy thanks to the floor to ceiling windows that flank the entire length of the spacious living room. Solid wood floors, contemporary furniture and matching furnishings make this a great space to relax in. A large, solid wood dining table, bench and chairs is a welcome addition and compliments the living area. Cable TV, Wi-FI and a Bose music system are all at hand for your enjoyment when you are not busy exploring the neighborhood with its many chic and traditional cafes, bars and restaurants. The kitchen is both spacious and well equipped, a theme that runs throughout this apartment. Marble surfaces, solid wood units, integrated dishwasher and high end appliances help make it a cooks delight. Formal dinner for six in the main living area or a cosy snack for two at the kitchens breakfast table is a decision only you can make. The first floor bedrooms are reached by climbing a ¨floating¨wooden staircase that leads up from the ground floor. The master bedroom is very well appointed with king size bed, cable TV, mirrored closet and direct access to the ensuite complete with jacuzzi bath. The second bedroom, again is well appointed, features king size bed, cable TV and benefits from an ensuite bathroom. This duplex apartment is located in a quality building, with 24 hour security and comes with access to the building’s rooftop pool and terrace.